It takes a genius musician to get a guitar to do his talking. 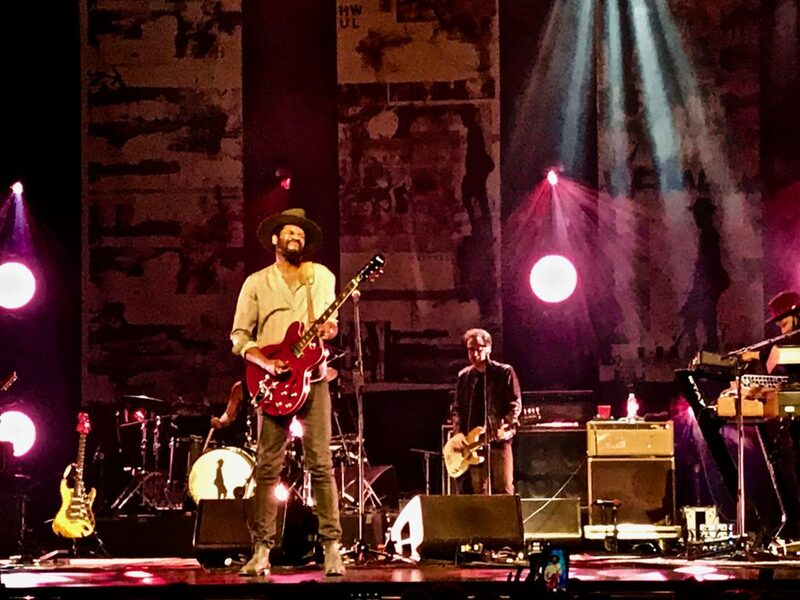 Gary Clark Jr. did that Saturday night at the Beacon theater in New York City. Sure, he sang and bantered with the audience, but when he wanted to get a message across, his flaming red guitar did the screaming and yelling. It had a lot to say, Clark rocked the house and his fans responded. The second he stepped on the stage with his imposing figure, Clark owned the audience. Standing 6’ 5” wearing boots and a wide-brimmed hat, he had the silhouette of a cowboy gunslinger. Only instead of packing a Colt.45, he was holding a classic Fender Stratocaster guitar. Born in Austin, Texas and playing since age 12, his command of the instrument is just about unequaled in this day and age of rock star posers. His style, a blend of blues, rock, soul and a wisp of hip-hop, is unique. It’s his brand as much as the Pharrell-size hats he wears. Clark didn’t mess around. The first song he laid into was his signature stadium-rock tune, “Bright Lights.” Singing it like he was daring the audience to disagree, he growled: “Woke up in New York City, lying on the floor. Just outside of Marcy’s – West 54 wow. You gonna know my name by the end of the night…” The crowd stood up and rocked and swayed to the vibe he was sending full force. When he was through with the first verse and refrain, he dug into his guitar and made it wail like a siren warning a tornado was about to come through. Clark is quick to pay respect to the greats who came before and shaped him: Howlin’ Wolf, B.B. King, Albert King, Buddy Guy. And he should, as the echoes of their guitar licks are in his too. He’s modernized their sound in a way that makes it his own and also carries the spirit of Jimi Hendrix, Prince and Eric Clapton. The songs he performed had themes centering around love, lost love, having a good time on payday… Clark’s lyrics turned to pure anger and outrage on the title song of his latest album by the same name, This Land. The song was born after an incident in Kyle, Texas where he’d bought a 50-acre farm. A nosy neighbor questioned him about why he was on the land. That spawned a set of searing lyrics that sparked words like “..F— you, I’m America’s son. This is where I come from…” He corralled his reaction and emotion, harnessed it and let the music flow where it may. “This Land” was the highlight of the night at the Beacon. Clark blasted the lyrics like a prophet warning the masses. His guitar yowled like a wolf ready to attack. Backed by a drummer, lead guitarist, bass player and keyboardist, who were as deft as any jazz musicians, the brother from Austin, Texas fulfilled what he promised at the beginning of the show. “You’re gonna know my name by the end of the night.” His coda was telling them that the land he owns is his and “… right in the middle of Trump Country…” God help anyone who questions what he’s accomplished or the possessions he has. From rock guitar god to fiery protest singer, Gary Clark Jr. is on an international tour that’s flaunting his dexterity and setting music venues around the world on fire. He walks softly but carries a big guitar. 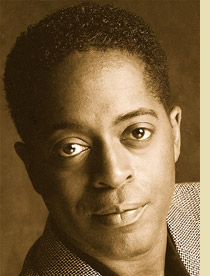 Visit NNPA News Wire Entertainment Critic Dwight Brown at DwightBrownInk.com and BlackPressUSA.com. Dwight Brown writes film criticism, entertainment features, travel articles, content and marketing copy.